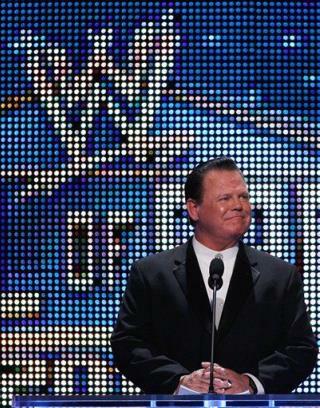 (Newser) – The professional wrestling world lost two of its own over the weekend, including the son of WWE legend Jerry Lawler. Per Yahoo Sports and the Commercial Appeal, Brian Christopher Lawler, 46, was found hanging in his jail cell in Memphis, Tenn., Saturday evening and died the next day. "Corrections officers administered CPR until paramedics arrived," the Tennessee Bureau of Investigation says in a statement. "Lawler was transported to Regional One Medical Center in Memphis, where he died Sunday afternoon." Lawler, who once performed for the WWE as Grandmaster Sexay on the Too Cool tag team, had been behind bars after being arrested on July 7 and charged with DUI, driving with a revoked license, and evading arrest. and a hush has fallen over trailer parks and wallmarts nationwide. WWE is entertainment. Growing up in the mid-90’s, I loved watching the Undertaker, Bret Hart, Shawn Michaels and the rest.